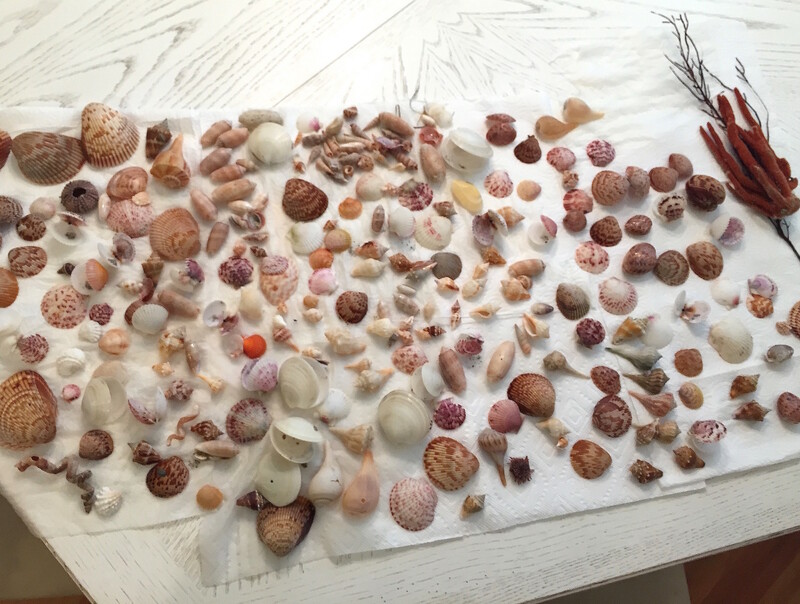 Seashell News, Cayo Costa Shelling, 3-6-15: Seashells Collected! 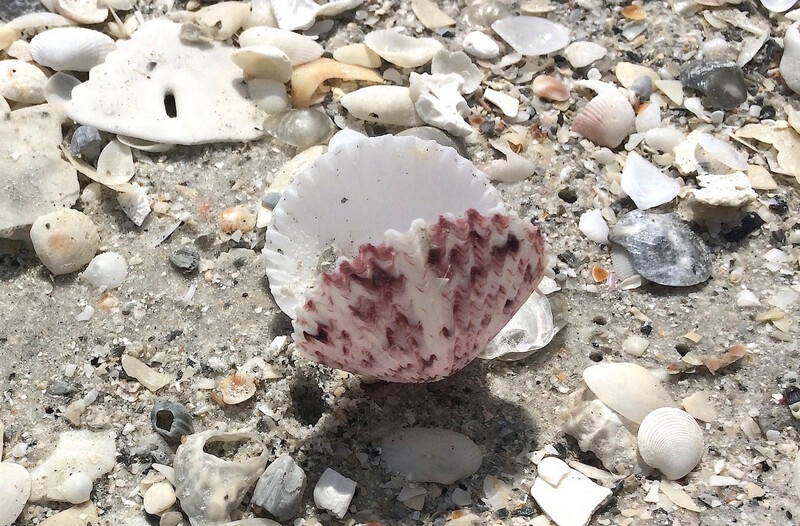 SeaShell News, 3-6-15, Calico Scallop, Shelling, Cayo Costa Island. We had some fun shelling on Cayo Costa and then headed to Cabbage Key for lunch! “The Atlantic calico scallop, Argopecten gibbus, is a species of medium-sized edible saltwater clam, specifically a scallop, a marine bivalve mollusk in the family Pectinidae, the scallops. This species was once the basis of an important fishery, but in recent years catches have been low. This species grows up to three inches in maximum width, and is similar in shape and sculpturing to theAtlantic bay scallop. Both valves of the shell are cupped. The shell near the hinge is extended into “ears”, as is the case in all scallops. The shell of the Atlantic calico scallop has about 20 radial ribs, which are sometimes roughened by growth lines. The exterior coloration of the upper (left) valve is dark yellow or pink, with striking blotches of red which sometimes form stripes. The lower (right) valve of this scallop is whitish with small reddish or purple spots. It has a white interior, often with brown patches on the “ears” and top edge. The lively outer coloration of the shell of this species gave rise to its popular name; in the USA, “calico” was for many years an inexpensive but colorful fabric printed with small flower patterns.